Don't buy from elsewhere until you've seen the amazing level of attention to detail that goes into our huts. Turning front axle with detachable tow bar for ease of movement and storage. 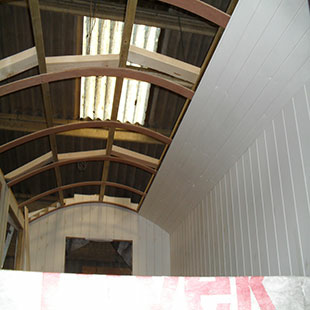 All interior and exterior wood work painted or stained prior to being fitted, before a final hand-painted finish. All knots are treated before 4 coats of the very best Dulux or Farrow & Ball paint is applied.